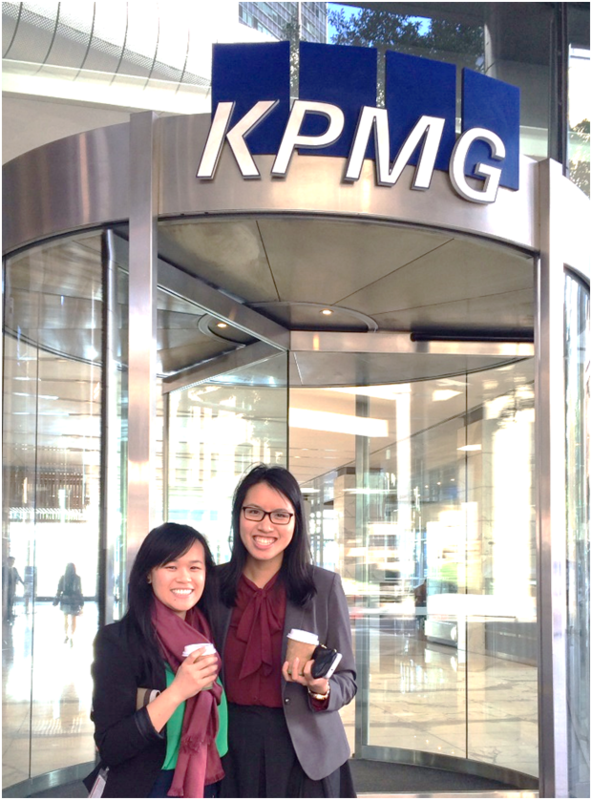 Back in June 2012, immediately after finals, I started my cadetship at KPMG with roughly twenty other cadets. It was a truly humbling experience going from being a first-year uni student one day to an employee in a global accounting firm the next. However, the support provided by KPMG is phenomenal and everyone is always willing to lend a helping hand. I still remember one of the senior managers teaching me how to “tick-and-bash” my first set of financials in the week I started. Despite being an ‘undergraduate’ at KPMG we are all treated equally and being a cadet is not coffee runs and photocopying - you are a valuable employee and an important member of the audit team where your comments and ideas are always taken into consideration. This has also been a time to ask questions and make mistakes, where instead of looking silly or being told to do something again, my queries are answered with great detail, and I am corrected and taught better ways to complete a task. From speaking with the client alone on the first day to completing an audit by myself with minimal assistance from my in-charge and manager, I have matured and become a lot more independent and confident. Being a cadet definitely has its perks – Friday night drinks, EOFY and Christmas parties, audit dinners, the annual ball, and all expenses paid interstate work trips. My cadetship has also assisted me financially as I have been able to fund myself to attend summer school in the US this year and an internship in Shanghai during the upcoming holidays. 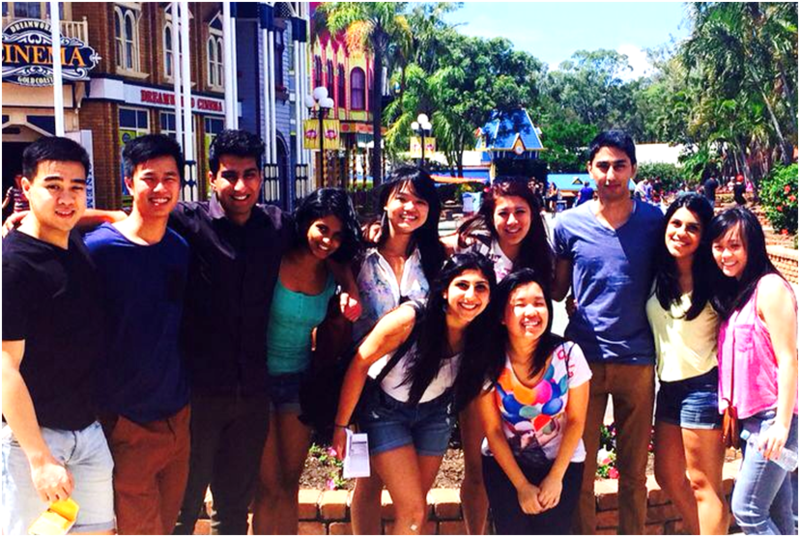 Work hard, play hard - Livin’ it up with some of my fellow cadets in the Gold Coast earlier this year! Besides all the parties, audit has truly been a great eye-opener. Due to the nature of the work I am constantly meeting and working with new people, both within KPMG and when I am out visiting clients. For example, I have learnt about different industries including broadcasting, aged care, charities and industrial gases (Yes, that included learning the process of making Helium and LNG for an audit). My cadetship has provided me with a deep understanding of the commercial environment whilst challenging me to meet deadlines and manage the expectations of managers. I have grown personally and professionally; developing my teamwork, social, problem solving and time management skills. I have also learnt how to become flexible and stay calm when working under pressure; as well as experienced having meetings at 8.30AM with the client to suit their demanding schedule, in addition to studying for mid-semester exams during audit busy season for a German company. Now that I am back doing full-time uni I truly miss the journey I've had with KPMG – from the fun times of pranking and joking around with my colleagues, to more serious times where our audit team would work late nights for days in a row to meet tight deadlines (… compensated by time in lieu and free dinners). Arvo coffee with my friend from high school and current colleague, Bernice Kwok, a fifth-year Bachelor of Commerce/Arts student at USYD. She completed the Industry Placement Program with KPMG and was subsequently offered a graduate job. My cadetship has been an invaluable experience and a great investment into the future, giving me a head start into my career. It has also assisted my studies in financial accounting at uni and is definitely one of the best decisions I’ve made in life!